Have you served in the military? If you are financially eligible for the hotline services and have served in the military, regardless of your military discharge status, you can call the veterans’ hotline at (443) 863-4040 for help with your civil legal issues. 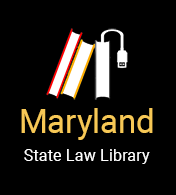 Maryland Legal Aid’s Joining Forces project is a free, statewide legal telephone hotline specifically for low-income individuals who have served in any branch of the military. Callers receive direct and immediate access to legal assistance and brief advice on a wide range of civil legal issues. If you need more extensive legal representation, beyond what is available by telephone, you may be referred to a volunteer attorney who may be able to provide further guidance and assistance. Maryland Legal Aid does not handle criminal matters.